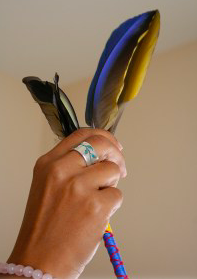 Shamanic Soul Center healing sessions are personalized to meet your specific needs. The unique integration of Reiki, Shamanic Healing and Intuitive Guidance provides you with the opportunity to receive powerful, transformative whole mind, body, heart and soul healing in a safe, nurturing environment. Feeling relaxed, lighter, happier, more inspired, more optimistic. Releasing negative/heavy energies that have previously kept one stuck. Letting go of old patterns of thought, behavior that no longer serve. Feeling empowered to take positive action to realize one’s visions and dreams. Experiencing deep transformation that leads to profound changes in one’s life. Experience the deep relaxation and healing power of this gentle energy healing technique used to reduce stress, restore balance, release blockages and accelerate the body's natural healing abilities. Clear away energies and patterns that no longer serve through this powerful spiritual healing technique that uses nature based elements to bring about powerful transformations and renewed energy. Receive powerful insights and fresh perspectives that help you create positive changes through the use of simple yet very effective practices/tools to increase self-awareness, confidence, clarity and joy. Follow-up sessions provide you with the very best tools and support to heal, empower and inspire you, so you can optimize your well-being and step fully into your power and potential. You will have the option to choose from different healing plans that range from $155 to $560 depending on your specific needs.